Creators Joe Spicer, Radames Malave, Adrian Fernandez, and Mike Ewert will be at Mighty Con this year! 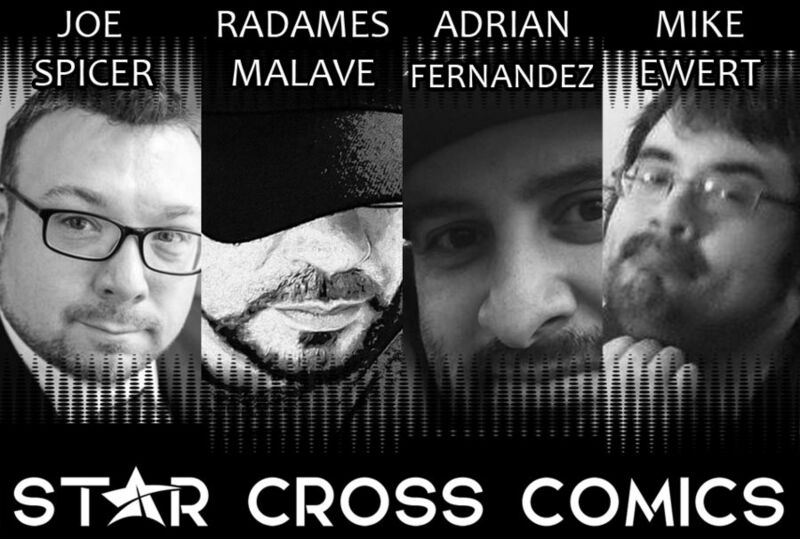 Star Cross Comics is an innovative and dedicated indie publisher specializing in exciting and provocative comic books created by talented creators from around the world. We at Star Cross Comics are creating a universe of stories and books ranging from horror and thriller to sci-fi and fantasy, superhero, Christian, adventure and crime!